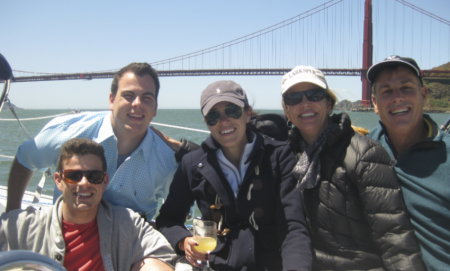 Your sailing charter on San Francisco Bay will just your group, We take up to six passengers on a fast and roomy Catalina 42 in new condition with food and beverages provided at only $150 per hour- plus a copy of A layer of Darkness, a crime novel set in San Francisco, written by your skipper. 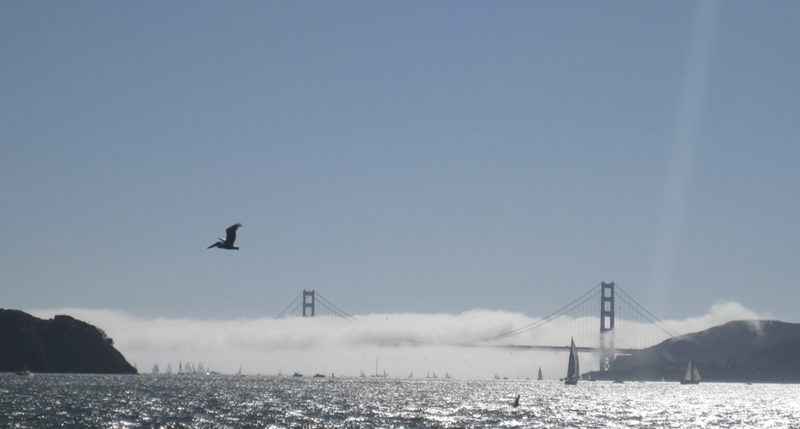 We sail out of Sausalito, with free parking just steps from the boat. 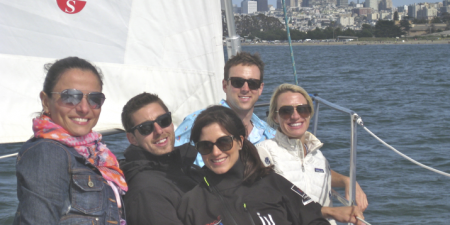 Sausalito is quite simply the best and most scenic place to begin and end your sailing day. Sailing conditions today, April 20: NW winds 10-20 kts with gusts to 30 kts. 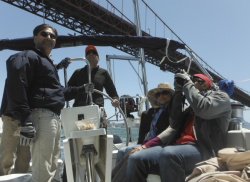 We offer private San Francisco bay tours, ocean excursions, office team building exercises and sunset cruises along the Golden Gate. 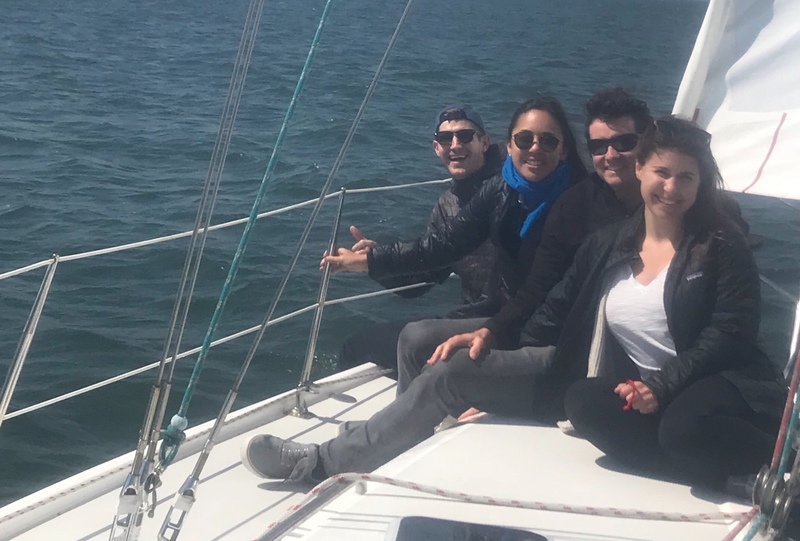 more info Your skipper and owner of Gentle Storm II, Rick Niles understands that your sailing charter is not just an adventure but moreover, an experience in knowledgable hospitality. Think of Gentle Storm as your boat for the day. You take part in sailing the boat as much or as little as you like. Your sailboat, your skipper. 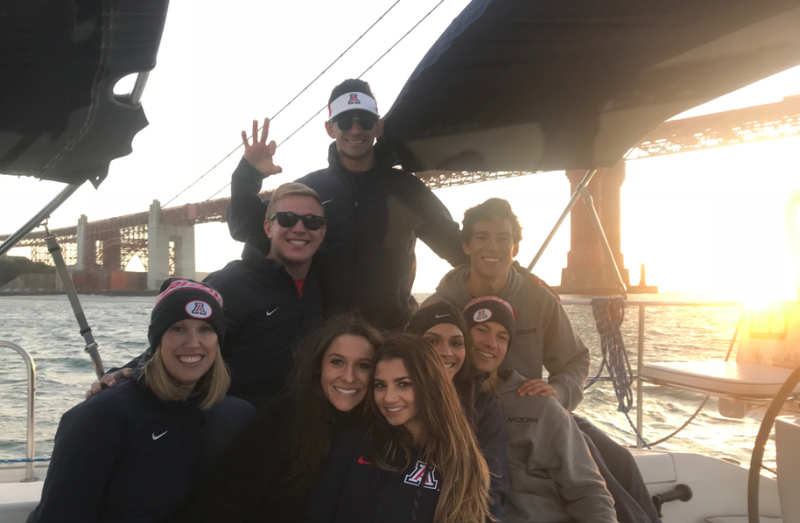 Depending on your preferences, trips with us can be everything from a full hands-on sailing lesson, to a sight seeing trip where you sit back, sip a glass of wine and enjoy the spectacular scenery and wildlife of San Francisco Bay. We sail out of Sausalito, with plenty of free parking just steps away from the boat. Call or email to arrange a charter on Gentle Storm II. If it is raining on your day, we reschedule or give a full refund on your deposit. more info. For that matter, you may reschedule for any reason. Available now! Rick’s new book, A Layer of Darkness, a crime thriller set in San Francisco in 1945.